Southern California is the land of beautiful beaches, warm temperatures and almost perpetual sunshine. The weather is one reason why so many people choose to live there. Because of its geographic landscape, Southern California rarely experiences hurricanes, but the state is struck by earthquakes from time to time. Also, because its landscape is very dry, wildfires are a seasonal phenomenon. The lack of rain makes wildfires in Southern California even more problematic for risk managers. The damage from wildfires results in dangerous mudslides when significant rainstorms follow the fire. The January 2005 Conchita landslide, which occurred 80 miles northwest of Los Angeles, killed 10 people and destroyed 36 homes. In June 2005, the rains were so excessive that they led to landslides in Bluebird Canyon of Laguna Beach. As a result, there was serious damage to particularly expensive real estate. Budgets and mitigation practices are expensive, especially when disasters such as earthquakes, wildfires and mudslides are not frequent occurrences. Consequently, emergency managers carefully weigh the risks of certain disasters to figure out what -- if any -- mitigation efforts are needed. Regardless of the catalyst, landslides are an important disaster management consideration, and Southern California has a landslide mitigation effort in place. What’s intriguing, however, is that the effort is linked to earthquakes rather than to the more prevalent aftermath of heavy rains. While significant rainfall in Southern California creates dangerous situations, mudslides don’t happen on a regular basis. Mitigation efforts for earthquake-related landslides, however, can be justified, considering how often seismic shocks occur in California. To its credit, the state has created the Southern California Earthquake Center. It specifically reviews the potential for landslides and makes mitigation recommendations based on regular studies of the area. While extensive damage from natural disasters can be reduced through good risk management and mitigation, disasters will continue to happen. 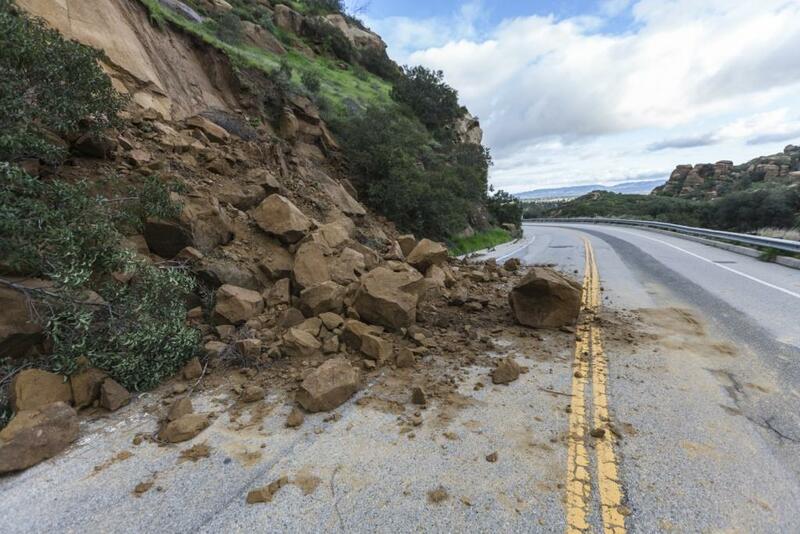 Landslides will continue in Southern California after heavy rains. It is hoped that any damage associated with them will be minimal, as the recommendations that Southern California mitigation teams make are substantive and effective. next A 'Mass Invasion' Of Polar Bears Is Terrorizing An Island Town. Climate Change Is To Blame.